Grab Goliath gear, get good guns, generate great games. Got it? Now from Forge World. 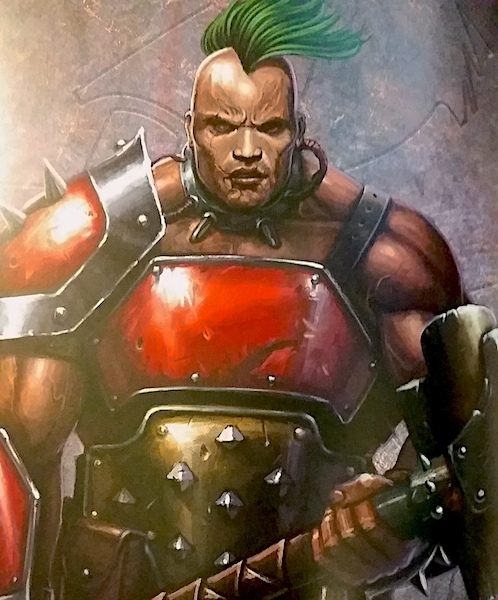 That’s right, House Goliath is getting some new arms and equipment from Forge World. Come check out their new weapon options. Make sure your gang is outfitted with the latest and greatest guns. 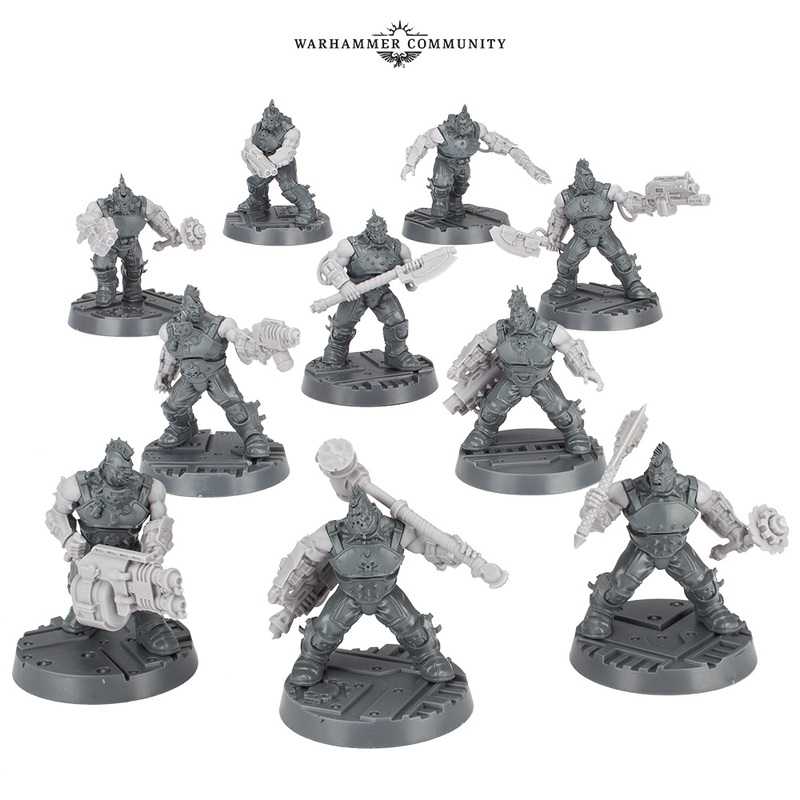 Give them what they need to get ahead in the Underhive. Mostly this is explosives. Let’s dive in. There’s a lot of melee weaponry in this pack preview. 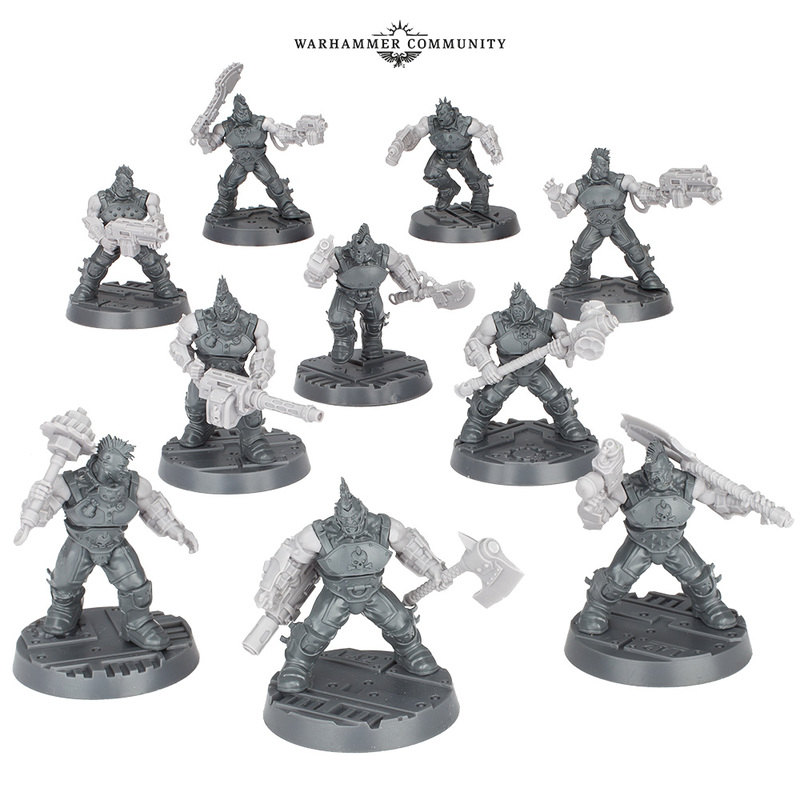 Which fits the Goliaths’ strength as big beefy boys who brawl–and brawl they will with lots of hand axes, makeshift mauls, and two handed weaponry in the mix. It looks to be melee mayhem. 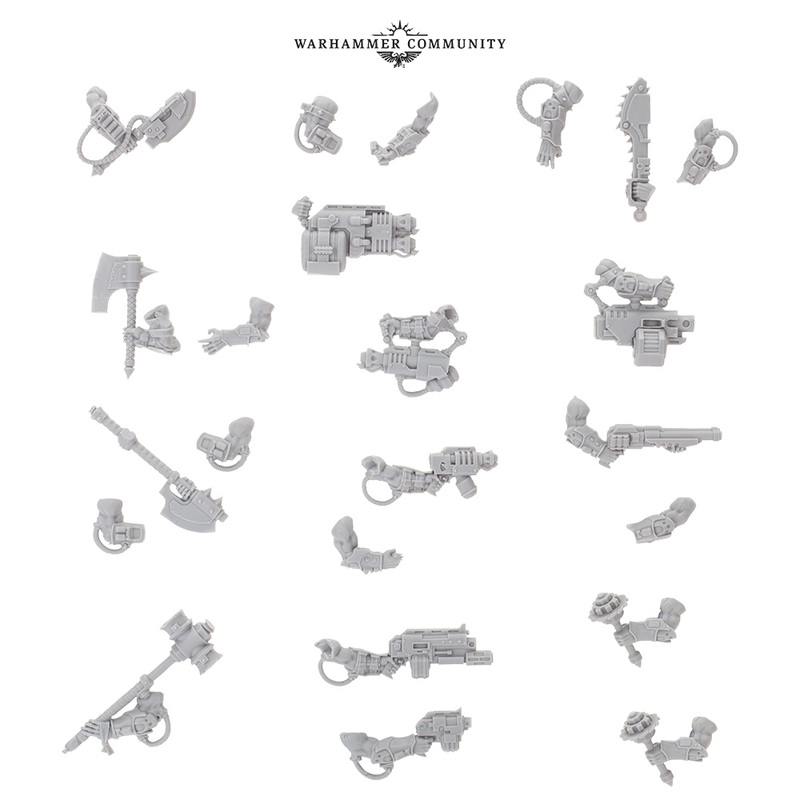 There’s also some heavy-hitting hardware there, with a massive looking machinegun, a double barreled blaster, and there looks to be a few combi-weapons (or maybe just underslung grenade launchers or flamers). But my favorite uas got to be the guy front and center up above: holding a massive, two-handed maul and some kind of heavy looking weapon. It’s the Goliath ethos in a nutshell, and he should be a hero to his people. 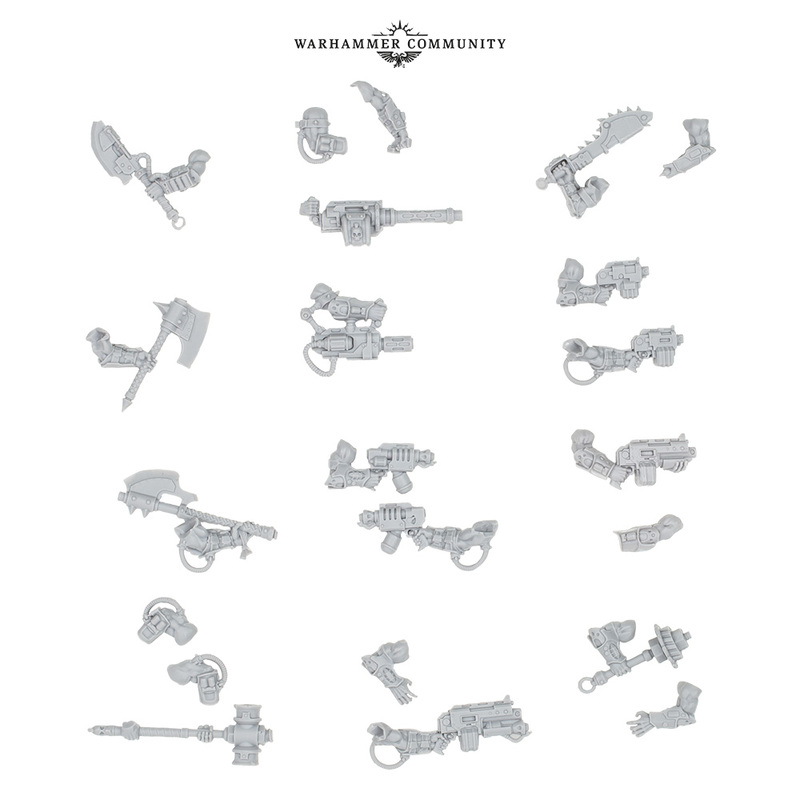 You’ll be able to order your Goliath weapon sets soon – in the meantime, if you’re still hurting for firepower and have some creds to spare, we’d recommend checking out some Hired Guns. Expect these new weapons soon. Gear up for greatness, Goliaths.